Files with dfd file extension are used by Duplicate File Detective application for Microsoft Windows. 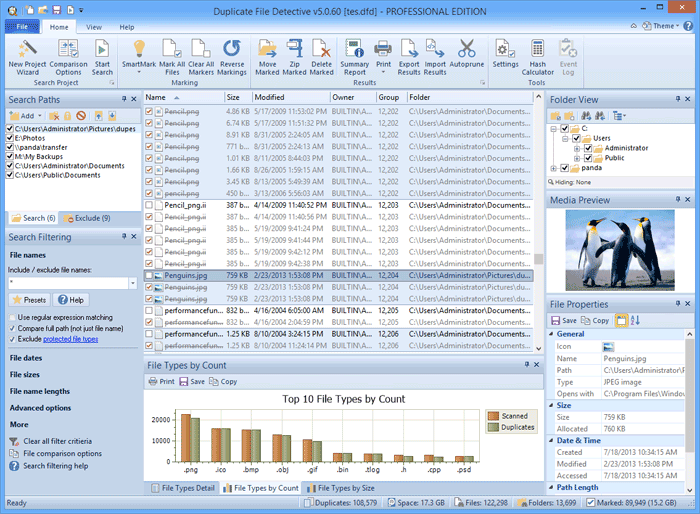 The dfd file extension is associated with the Duplicate File Detective, a software for Microsoft Windows that allows users to find file duplicates on hard drive. The dfd file stores some kind of data used by this application. Duplicate File Detective allows users to find duplicate files (even when the file names are different). You can search multiple folders, drives, removable storage devices, even network shares. Click on the software link for more information about Duplicate File Detective. Duplicate File Detective uses dfd file type for its internal purposes and/or also by different way than common edit or open file actions (eg. to install/execute/support an application itself, to store application or user data, configure program etc. ).